No one really knows what the thorn in Paul’s flesh was. It doesn’t really matter what it was. What we do know is that, it was a messenger from Satan, sent to torment him and keep him from becoming conceited. God refused to remove the the thorn in Paul’s flesh. I have wondered if Paul had an arrogant personality and God used this thorn to remind him of who was in control. Poverty has been the thorn in my side for 22 years now. I have prayed for God to pour out financial blessings on me and my children, but He does not. That isn’t to say that He doesn’t provide. He absolutely does provide! Vehicles break down, but I get to work and the kids get to where they need to be. We have a roof over our heads and food on the table. It is hard to struggle paycheck to paycheck, but I know that my survival completely depends on God. I understand that God wants me to experience true Holy Spirit given joy in my life regardless of how much money I have in my bank account. God wants me to look to Him for fulfillment and not material possessions. God wants me to trust Him to provide for my needs instead of trying to provide for myself without Him. Only in depending on Jehovah Jireh alone does my relationship with Him grow in intimacy. Only in trusting God alone is my relationship with Him taken to the next level. It is not always easy and there are times when I want to scream at the unfairness of it all. Why should millions of people have to suffer in poverty when there are many many people who hoard their wealth, refusing to share with those in need. I will admit that even after 22 years I am still learning to be content with my circumstances. I am a work in progress! 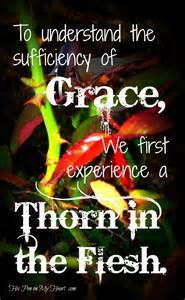 What is the thorn in your flesh? Have you cried out to God to remove it? What is the lesson that God might be wanting to teach you by not removing it? Will you allow God to work in your heart and draw you closer to Him? In a journal or other safe place I urge you to have a conversation with God and open your heart to what God is trying to show you. Let it all out. Don’t be afraid to open up your heart to God. He can handle it. God has not placed this thorn in your flesh to punish you, but to mold you and to draw you closer to Him. Stop fighting it and find out what it is God wants you to know. 1. I have learned to be content as a food service worker in a local convent. I know that God can not use me for something bigger when I have refused to be a vessel for Him right where I am. I have searched my heart and found that I really need to open my eyes to the ministry opportunities right here in Terre Haute, Indiana and the ministry opportunities right here in my own family. I need to quit trying to find a way out of the city that Steve Martin once called, “the armpit of America” and open my eyes to the beauty that this city and it’s people hold. It has not been an easy process, but I am on the right path. 2. I have learned to enjoy living simply with what I have. I have never been the person who needs the newest smart phone or the fanciest house, but I still find myself filled with envy when someone gets a new car or goes on a vacation that I wish I could go on. I do get bit by the envy bug and I have to take a moment to focus on God and count my blessings. I don’t have a perfect life, who does? but my life is pretty good. I am not rich, but we have what we need and all we really need is Jesus. Nothing else really matters. 3. I have learned not to worry about money so much. My life is all about money. Struggling to pay bills, fix cars, pay for what the kids need, etc. I have lived in poverty for 20 years now and I am okay with that, for the most part. I know what I value and I prioritize where my money goes. There are times though, when I cry out to God for more money to ease the struggle. I have learned to trust God to provide, always. God does provide. We have never gone without the things that we need. Times do get tough, but I know that my God will provide and that as long as I am in His will, He will always take care of us. This is such a reassurance to me. My ABBA Father has me in the palm of His hand and will never let me go. 4. I have learned that I do have a complaining spirit and I need to think before I speak. Since writing the post for day 4, I have become intentional in being aware of when a complaining or arguing attitude is coming on. I have had moments when I immediately tell myself to “nip it.” I also say a prayer asking for help in my weakness. I know that this is an ongoing heart issue that I need to stay vigilant about. Will there be times when I slip up? I’m sure there will be, but I know that I can seek my Father’s forgiveness, right any wrong I have caused with another person and move on. 5. I have learned to rejoice in every circumstance. Am I always joyful? No, but I am intentional about finding God’s blessings in every day life. I have a new perspective on life and I know that I can have a joy-filled heart, even when things are difficult. I know that I can be joyful simply because I know who my Savior is and that this too shall pass. We may struggle, but joy comes in the morning. 6. I have learned that God’s peace is a gift. All I have to do to receive that gift is let go of my worry, fear, complaining attitude and raise my hands Palms Up to receive the gift that God has waiting for me. Palms Up is how I want to live my life. I pray that this 7 days of contentment has encouraged you. I am here to walk this journey to contentment with you. If you need prayer or some guidance, contact me via my contact page and we will take this journey together. Be blessed, my friend! According to Merriam-Webster.com: to rejoice means to feel joy or great delight. I want to be this person that rejoices in times of sorrow, blesses others even while living in poverty, and knows that I possess everything because I have Jesus, even though I may have nothing of value on this earth. I want to be this person! And not just sometimes, ALL THE TIME!!! Being content means more than serving where we are, changing our materialistic attitudes, and being content with our paychecks. Being content, also means that we can rejoice when the car breaks down, when the kids are screaming at each other, and when you lose the job you’ve been at for 19 years. How can we rejoice when things get tough? 1. Get into God’s Word! This is so important! The Bible is full of encouraging verses to help us through the difficult times. Start digging and see what you find. 2. Start a gratitude journal (or use a journal you are already using). At the end of every night list 5 things that happened during the day that you are grateful for. Even on the worst days, God sneaks the blessings in; make a habit of looking for the blessings as you go through your day. 3. Get your praise on! Even if your day is the pits, make a habit of praising God anyway. Praise God simply because He is in control and can deal with any situation. 4. Step out in service to others. When you step out in service and take the focus off your own situation, it is easier to put things in perspective. You may find that there are other people in the world with tougher situations than yours. 5. Pray. Pray. Pray. Whatever the situation, give it to God. Our Father in heaven can handle our problems better than we can. On our own we are powerless to solve any of our problems, but with God as our life partner, we can accomplish all things, we can solve all problems. Always remember that God is for us and not against us. It may be tough to rejoice today, but rejoice anyway! God is on His throne, aware of everything that happens in this world. He knows that you may be hurting today and wants to guide you to the place where you can be truly joy-filled. 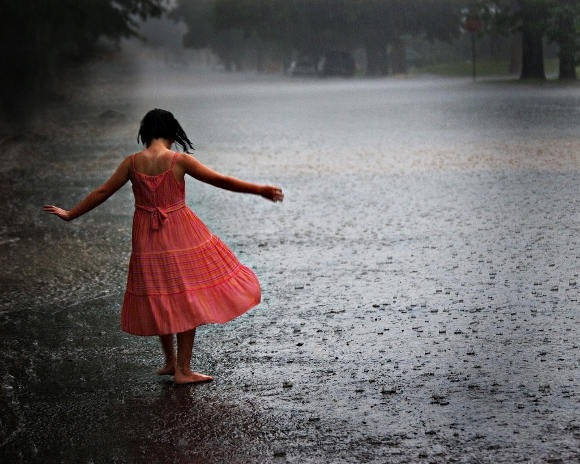 Our loving Jesus wants us to be able to dance in the rain. 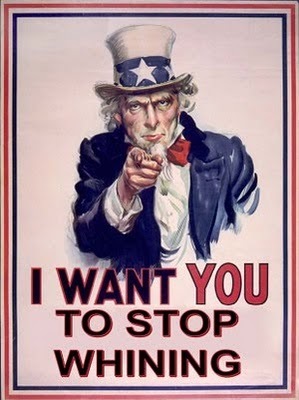 As a mom of 5 kids, I hear whining, complaining and grumbling on a daily basis. Admittedly, it isn’t always from the kids! Too often, I hear myself complaining because the kids haven’t cleaned their rooms or done something I had asked them to do, complaining because my work day isn’t going as smoothly as I would like, or whining because I’ve been inconvenienced in some way. I don’t like to hear it from my kids and I really don’t like to hear it from myself. Paul tells us that in order to become blameless and pure, “children of God without fault in a warped and crooked generation” we must do EVERYTHING without grumbling or arguing. I know it seems like an impossible task, but remember that Paul was writing these words from prison and Paul was a man that practiced what he preached. If Paul had the ability to rejoice even while in prison, without complaining and whining about his circumstances, then we can be assured that when we abide in God, we have that same ability to rejoice in our circumstances, without complaining that our car broke down, our phone died, or our significant other has left us with a baby to take care of. I’m not saying that these aren’t things to complain about, but honestly, is complaining going to change the situation? No, it isn’t. Complaining only hardens our hearts against the love of God and others who may want to help us. God loves us and wants to help us in the tough times, but we have to guard our hearts against the sin of grumbling and arguing and be willing to give our circumstances to God and let Him deal with the situation. 2. Immediately, give the situation to God. Say a prayer of surrender and allow God to take control of the situation. 4. If our complaint involves a person, pray for that person. Get to know that person and see whats going on in their lives that may cause them to be the way they are. Cultivate a heart of compassion toward that person and show them the love they deserve as a child of God. 5. Always be on the lookout for a whiny spirit. Nip it as soon as it rears it’s destructive head. Remember that before Paul became an apostle of God, he murdered Christians. If Paul was able to completely turn his life around to the point of rejoicing in prison, we can too. God wants us to be pure before Him and He is here to show us the way. Be content in ALL things without whining about our circumstances. If Paul did it, so can you! WOW! This is such a departure from how we live in today’s society! 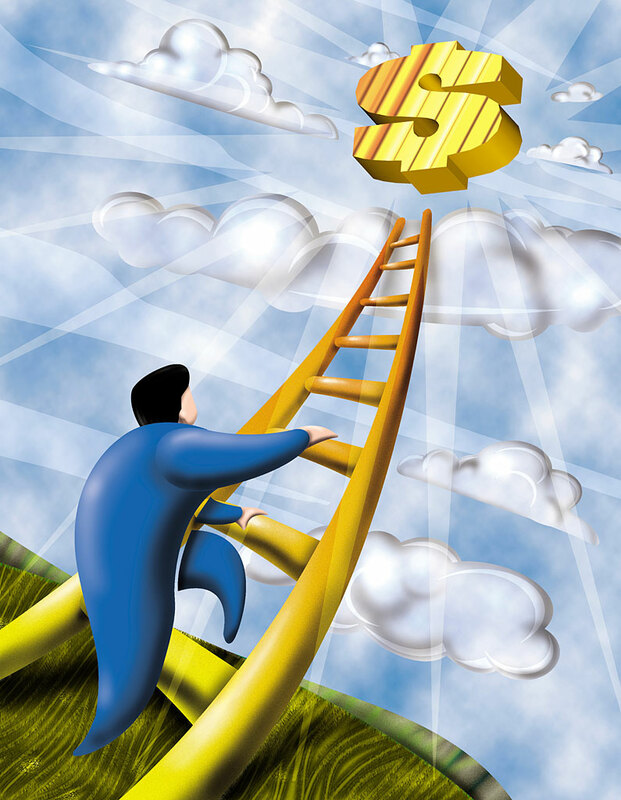 Most people today are to busy climbing the corporate ladder, trying to gain more prestige, earn more money. It always seems to come down to earning more money. It’s always about the money. We have past the point of just working for enough to pay for our basic expenses. We now work ourselves sick trying to pay for things that we really don’t need. This was not God’s plan for us. 25 “Therefore I tell you, do not worry about your life, what you will eat or drink; or about your body, what you will wear. Is not life more than food, and the body more than clothes? 26 Look at the birds of the air; they do not sow or reap or store away in barns, and yet your heavenly Father feeds them.Are you not much more valuable than they? 27 Can any one of you by worrying add a single hour to your life?28 “And why do you worry about clothes? 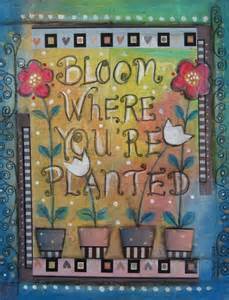 See how the flowers of the field grow. They do not labor or spin. 29 Yet I tell you that not even Solomon in all his splendor was dressed like one of these. 30 If that is how God clothes the grass of the field, which is here today and tomorrow is thrown into the fire, will he not much more clothe you—you of little faith? 31 So do not worry, saying, ‘What shall we eat?’ or ‘What shall we drink?’ or ‘What shall we wear?’ 32 For the pagans run after all these things, and your heavenly Father knows that you need them. 33 But seek first his kingdom and his righteousness, and all these things will be given to you as well. 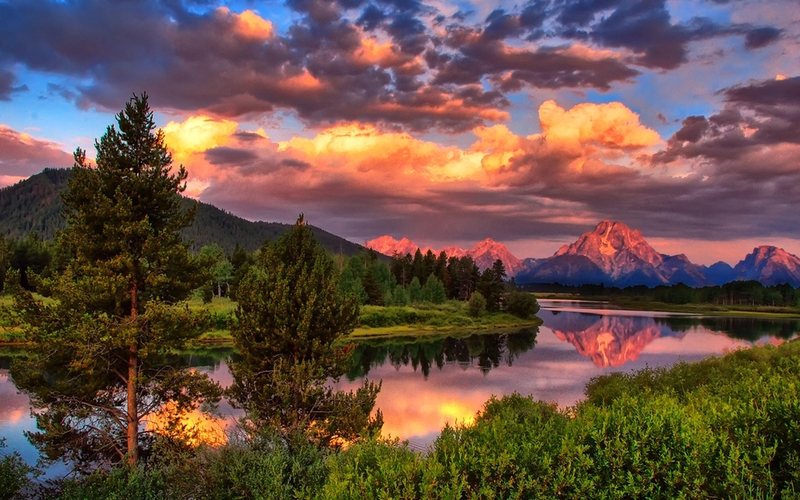 34 Therefore do not worry about tomorrow, for tomorrow will worry about itself. Each day has enough trouble of its own. If we are in Him, God will ALWAYS provide what we NEED. According to Matthew 6:25, what all we really need is food, drink, and clothing. I know, I know, things are different today and we need more than they did in Bible times. We need cars, shelter, utilities, phones, etc. I agree that these are needs in today’s society and God is completely aware that times have changed. If we become content to live with what we NEED, instead of everything that we want, we will be able to stop the stress filled cycle of working for everything that we want, only to find out that we never have the time to enjoy those things, because we are working ourselves sick to keep up with this lifestyle. 1. Am I working myself sick to pay for a lifestyle I never get to enjoy? 2. If I am completely honest with myself, what are my basic NEEDS? 3. How is God leading me to simplify my life (either in my career or at home)? 4. Write down 3 action steps you can take to simplify your life. 5. Give yourself a deadline for completing those action steps. God wants us to live joy filled lives! Embrace the life that God wants for you! You can do it! God is always willing to walk the path with us! When Paul wrote this letter to Timothy, he addressed the greed of the Ephesians. He wanted to warn the Ephesians about the consequences of their greed. Their greed was the root of their problems and Paul knew it needed to be addressed. I admit that I have been guilty of letting envy get the best of me when so and so gets new furniture or so and so gets a new car. There are times when I cry out to God, “I work, and do what I’m supposed to do. Why do I never get these things? Why do I always have to struggle?” This kind of attitude breeds bitterness. I have needed an attitude adjustment more than once! 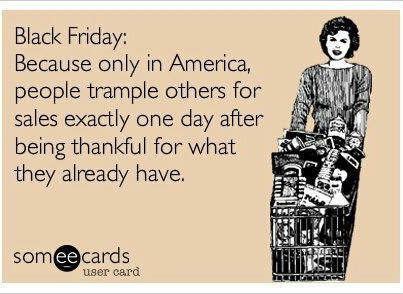 In today’s society, materialism and consumerism has led to greed. Greed is a sin and it leads down a very dangerous path. We all want the newest vehicles, the newest and biggest houses, the newest and most expensive smart phones. You name it, we want it! No one is satisfied with living simply anymore and we have suffered the consequences of living with our discontentment. Those consequences include: living a life apart from God, always wanting the next best thing, continual dissatisfaction with what we have and with life itself. If you have fallen into the trap of materialism, I encourage you to meditate on the following questions and answer as honestly as you can. Begin a dialogue with God and ask Him to show you where you may need an attitude adjustment. 1. Has my materialism produced an attitude of greed within me? 2. If so, what consequences have I suffered as a result of my materialism? 3. Am I really satisfied with my life, or am I in a constant state of dissatisfaction? 4. What is God telling me about this materialistic attitude? 5. What steps is God leading me to take to change this attitude of materialism? 6. What steps is God leading me to take to live more contently in my life? 7. How will I implement those steps? 8. What is my timeline in making these changes? Living contently in our lives is an ongoing and sometimes painful process. It is a heart issue and sometimes we may find ourselves subject to undergoing the pruning process of our heavenly Father, in order to rid us of the hardened areas of our hearts. This is a process, friend. Don’t get discouraged if the process is taking longer than you expected. Take one step at a time. Open your heart to our heavenly Father and find joy in the simple things in life. I am not saying this because I am in need, for I have learned to be content whatever the circumstances. I know what it is to be in need, and I know what it is to have plenty. I have learned the secret to being content in any and every situation, whether well fed or hungry, whether living in plenty or in want. I can do everything through him who gives me strength. Paul knew what hardship was. He wrote four of his letters while he was imprisoned. Paul’s letter to the Philippians was written while he was in prison. Paul suffered severely for his beliefs. He was imprisoned, he was flogged, and he was exposed to death more than once, but Paul had faith in God and he never quit giving the message of the Gospel. Every day circumstances can cause discontentment in our lives. I have worked in the food service department of a local convent for 2 1/2 years now and although I love the sisters and my work environment, I often get frustrated because I want to be doing more for God. I know that God has called me to a full-time women’s ministry and that is where my heart is. I have been guilty of arguing with God and have been a bit whiny. I have complained that “all these other women are serving in full-time ministries, why shouldn’t I be able to?” I admit, I have sounded like a petulant child. No wonder my heavenly Father has left me where I am! I have finally realized that until I can be content in my present circumstances and allow God to use me where I am, I will not be able to move forward in a full-time ministry. Why does it take us so long to learn these lessons? Paul says in this passage that he has learned the secret to being content in any and every situation. What is Paul’s secret? Paul desired to do God’s will, even if it meant suffering and death. Paul also trusted God to bring something good out of his suffering. Paul truly had a servant’s heart. His only desire was to serve God and to serve those God sent him to. If we allow ourselves to become servants and allow God to use us right where we are today, then we open the door to future assignments. We have to be willing to find contentment wherever life has us today. Become that willing servant to whomever God puts in your life and watch as God works in our own lives and the lives of those around us. I am challenging you to look outside of your own situation and find someone else that you can help or encourage, even if in a small way. Cultivate that servant’s heart within yourself and find contentment no matter what your circumstances may be.